Sometimes it is worth clearing out the garage, because you never know what you might find there: an old motorcycle, a painting worth millions, or maybe a vintage Apple I computer, as did a woman in Bay Area? San Jose Mercury News reports that early in April a woman stopped by a recycling firm, Clean Bay Area, to drop off some boxes. She had been clearing out her house after her husband died. 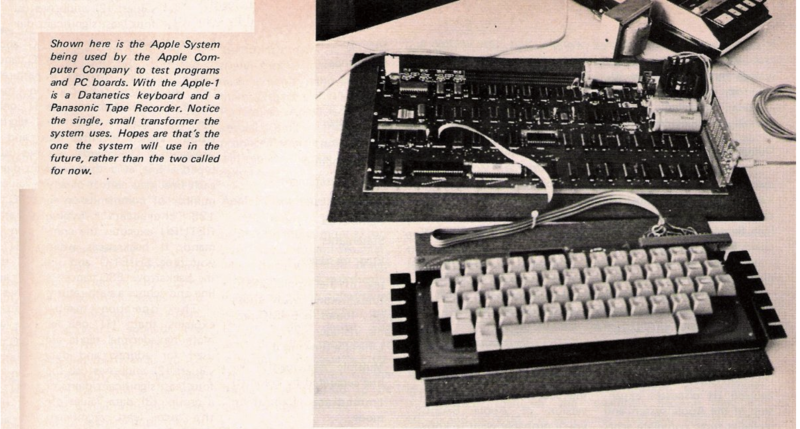 Two weeks later, after the recycling firm opened up the box, they discovered that one of the boxes contained a vintage Apple I computer, one of the 200 first-generation products Apple’s Steve Jobs, Steve Wozniak, and Ron Wayne put together back in 1976. After selling the Apple I computer for $200,000 to a private collector, the firm is now looking for the woman to give her $100,000 to honour their policy of splitting proceeds 50-50 with the donor. “We are looking for her to give her $100,000,” company vice president Victor Gichun said. The problem is they don’t have any contact information. Fortunately, though, Gichun was present and remembered the woman. To pick up her $100,000 check the woman needs to drop by once again.